Named for one of ISQOLS former presidents and a preeminent scholar in the field of international and comparative quality of life research, contributions made to the “Richard J. Estes Lecture Fund” will permanently endow a series of lectures on “advances in comparative quality of life theory and research”to be delivered as part of ISQOLS international conferences. Lecturers for the series will be drawn from scholars worldwide and from the many disciplines that contribute to quality of life research. Only the income earned from this Fund will be used to support the lecture series. Richard J. Estes is Professor of Social Work at the University of Pennsylvania in Philadelphia. He holds an A.B. degree from La Salle University in Philadelphia and graduate degrees in social work from the University of Pennsylvania (Master of Social Work) and the University of California at Berkeley (Doctor of Social Welfare). He also holds a post-master’s Certificate in Psychiatric Social Work from the Menninger Foundation in Topeka, Kansas. His international activities have been extensive. Among other assignments, he has held visiting Professorships in Iran, Norway, and the People’s Republic of China, Morocco, South Korea, Hawaii, Japan, Mongolia, the Russian Federation, Belgium, Sweden, Mexico, Hong Kong and elsewhere. In the United States, Estes is founding President of the Philadelphia Area Chapter of the Society for International Development (SID). 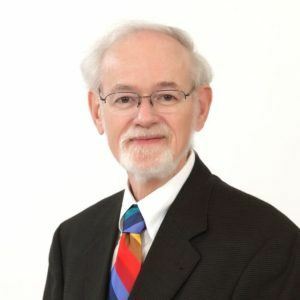 He is a former president of the Group for the Advancement of Doctoral Education (GADE), and is a former Chair of the Council on External Relations of the Global Commission of the Council on Social Work Education (CSWE). In 2004 he was elected President of the International Society For Quality of Life Studies (ISQOLS). Distinguished Visiting Scholar of United College of the Chinese University of Hong Kong (2002). Are you a current ISQOLS member ?